If I keep going like this I'll have no problem with knitting 12 pairs of socks (1 pair/month) this year. A second pair is now off the needles. 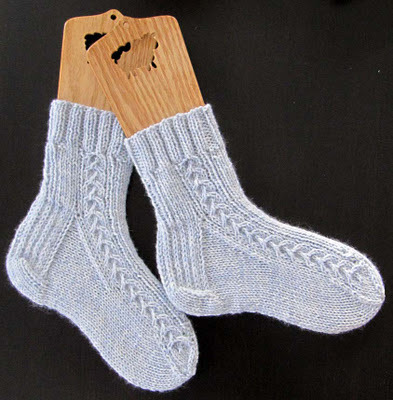 This pair is for Donna Druchunas' upcoming book about Lithuanian knitting. This is the first pair of socks I've made with worsted-weight yarn. Talk about a quick knit! Wow, at this rate you could have all 12 finished before the end of January! They look lovely. Will they all be for you?